I was always planning on editing PJ’s hobbit films once all three were released, but with the premiere of “The Desolation of Smaug” coming up, I figured it could be fun to release a stand-alone edit of “An Unexpected Journey” as well. Since I want this edit to fit perfectly with the next two films, this is by no means a purist cut – I’ve instead tried to improve on the story that Peter Jackson is telling. My goal has therefore been to tell the best possible story within the limitations of not cutting anything that might become important in the next two films. -This should be Bilbo’s story. The theatrical version tends to lose sight of its (purported) main character quite often, so I’ve tried to focus the story on Bilbo as much as possible. If a scene doesn’t serve Bilbo’s story and is also not absolutely necessary for the overall plot, I’ve cut it out. Among other things, Radagast’ first scene, the stone giant scene, and the chase scene through Goblintown have been removed in this edit. -This should be the first chapter in PJ’s Middle-earth hexalogy. PJ relied a bit too much on the audience’s familiarity with the LotR films, so AUJ feels too much like a prequel rather than a proper first chapter. Frodo’s cameo is a good example of this, and is one of the things I’ve cut out completely. PJ also decided to reuse a lot of music from the LotR films, rather than using the new stuff that Howard Shore recorded. In order to give AUJ its own identity, I’ve restored as much as possible of Shore’s original score. 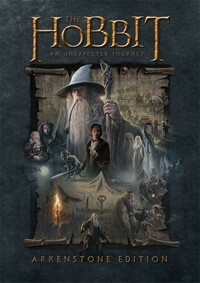 -This should be fully compatible with the theatrical versions of the remaining five Middle-earth films. As much as I would like to remove stuff like Azog, Radagast and the White Council entirely, every character or plotline that has importance for the next two Hobbit films has been kept. In some places I may have played it a bit too safe, but at least I’m almost 100 % certain that I haven’t cut anything that will come into play later on. By following these three principles, I think I’ve created a much stronger and more enjoyable version of this first Hobbit film. •	Applied a slight color correction to the whole film to get rid of the green tint. 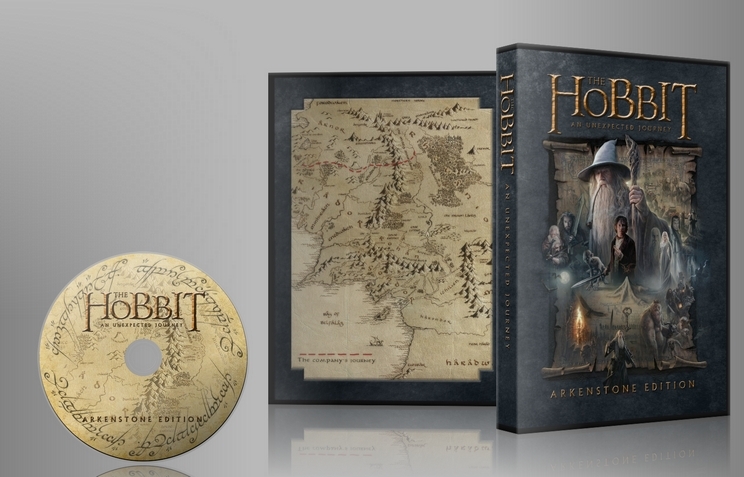 •	Replaced music accompanying the title with a rendition of Bilbo’s theme. Since the Shire theme comes in immediately afterwards because of the next change, the title music had to be replaced, and I think using Bilbo’s theme fits better anyway. This theme appears quite a few times on the OST, but was all but removed from the theatrical film, and replaced with the Shire theme. In my edit, Bilbo’s theme has been reinstated. •	Added film grain to the opening scenes in Bag End. I’ve used some footage from FotR, and in order to make the intercutting as seamless as possible, I found it easiest to add grain to AUJ instead of removing it from FotR. •	Bilbo’s opening narration (“My dear Frodo”) has been replaced with the one from FotR EE (“The 22nd day of September, in the year 1400”). The FotR version works better as an introduction to Middle-earth. Continuity-wise, this alteration means that this edit won’t fit with the FotR EE, but if you’re patient, I’ll soon provide a solution for that. •	For the most part I used shots from AUJ for the opening scene, but some FotR EE shots have been color-corrected and intercut with the AUJ footage. •	The Fellowship theme statement from this FotR EE scene has been replaced with “The Edge of the Wild” from the AUJ soundtrack. Whenever an edit required some sort of musical alteration, I’ve tried to stay true to the various themes and leitmotifs that Shore has written for Middle-earth. In FotR EE, this scene includes the film’s title card, making the fellowship theme very appropriate, but it would be out of place in my edit, and thus had to be replaced. “The Edge of the Wild” felt very appropriate. •	After Bilbo’s “Now… where to begin? Ah, yes!” from FotR EE, the AUJ narration comes in: “It began long ago, in a land far to the east…”. •	“The greatest kingdom in Middle-Earth” changed to “The greatest dwarf-kingdom in Middle-Earth”. The original line is a bit too specific, in my opinion, and I think it’s helpful to establish that this is a dwarf kingdom right away. •	Cut Bilbo’s line “Ah, Frodo… Erebor!” Bilbo’s narration is no longer framed as a letter to Frodo, and Frodo’s later cameo has also been cut. I could have recut the line to “Ah, Erebor!”, but cutting it completely allowed me to let the small snippet of Thorin’s theme play over the introductory shots of Thrain and Thorin. •	Shortened the description of Erebor slightly. The prologue goes on for a bit too long, and certain parts don’t add much to the storytelling. •	Inserted extended Thranduil scene, but cut out the end with Thranduil walking away and Bilbo’s moralizing. I like the Silmarillion vibe of the scene (that necklace has to be a cheeky reference to the Nauglamir! ), and it adds some depth to the elf/dwarf conflict. •	Restored Thorin’s theme from the soundtrack as the dwarves rush to the gate. •	Replaced a shot of Smaug with the updated design from the extended edition. •	Cut Bilbo’s “Thranduil would not risk the lives of his kin to the wrath of the dragon”. With the EE Thranduil scene, the line is not really needed, and removing it adds some nuance to the whole elf/dwarf rivalry, implying that Thranduil showing up with an army only to turn away is his payback for the whole Nauglamir business… Or perhaps he actually was planning to invade Erebor and seize the Nauglamir by force? •	Cut “my dear Frodo” from Bilbo’s line “That, my dear Frodo, is where I come in”. •	After the Erebor prologue, we transition almost immediately to young Bilbo: “In a hole in the ground there lived a hobbit” now leads into the title card. The soundtrack features the music that signifies Gandalf’s fireworks (instead of the Shire theme) as a leadup to the title card music, which I think fits my version rather well, so I used that bit of music under Bilbo’s narration. •	Added sound effects for Bilbo inhaling smoke. The audio for Bilbo’s narration that I’ve used for this scene also includes some sounds of Bilbo writing, so I had to add some sound effects to mask them. •	Removed “60 years earlier…” text. Since we don’t really spend any time with old Bilbo after the prologue, I figured this would be unnecessary and possibly confusing. •	Inserted the marketplace scene from the extended edition. In the TE, we don’t really get to see any hobbits other than Bilbo, and I think it’s really important to get a sense of what hobbit life is all about before he leaves it behind. •	Restored some music for Balin and Dwalin ransacking Bilbo’s pantry. •	Cut lines about Bombur eating cheese wheels “by the block”. •	Shortened, recut and rescored the dwarves’ merrymaking. •	Cut “Blunt the Knives” and the leadup to it. I don’t have anything against the song, but it adds nothing to the story, and we shouldn’t spend too much time in Bag End. •	Added music to the dinner and Thorin’s arrival to make the cuts work better. •	Shortened and recut the “exposition scene”. It’s not a bad scene, but a bit too long. I’ve tried to make it a bit more focused and to the point, and to bring Bilbo into the proceedings earlier. •	Cut Gandalf’s line to Bilbo about doilies and dishes. The setup for this line has been cut, so I figured I might as well cut this bit as well. •	Replaced music for the Bullroarer-story with the originally written rendition of Bilbo’s theme. •	Replaced “The Adventure Begins” and “The World is Ahead” music tracks with the OST versions. •	Some color correction to the Battle of Azanulbizar, and missing choir restored to the soundtrack. •	Cut a shot of Azog where he makes a cartoonish “Gorg!”-sound. •	Cut Thorin’s line about Azog having died of his wounds long ago. The fact that Azog is still alive is so incredibly obvious, and I think it works a bit better to just remove the whole “mystery” angle completely. •	After the Azog flashback scene, we briefly see a warg rider watching the company, but the closeups and dialogue has been cut. Because of a later change, Yazneg’s lines here became redundant. •	Radagast’s introductory scenes have been cut, while still keeping Gandalf’s exposition about the wizards. This is the point where the theatrical version lost me. There’s no real link between the company’s and Radagast’s plotlines at this point, so suddenly cutting to the adventures of Radagast and his bunnies ends up being almost completely random. I think it works much better to not introduce Radagast and the Dol Guldur subplot until the company meets him in the Trollshaws. Some shots had to be reshuffled and I had to add some rain audio in order to make the scene work without cutting to Radagast. •	Added some ominous music for the establishing shot of the ruined farmstead. This was done to create a smoother storytelling transition between scenes, since Gandalf’s line “… for always evil will look to find a foothold in this world” now cuts to this scene rather than to Radagast. •	Trimmed Gandalf and Thorin’s argument at the ruined farmstead. The dwarf/elf rivalry was a bit overdone in the original, so I’ve trimmed it down a lot to make it more subtle and understated. •	Azog’s introduction has been recut and moved to a much earlier point, along with some changed subtitles and music. As mentioned before, everyone already knows that Azog is still alive, so it’s better to introduce him as the villain early on. •	Removed all mention of the trolls’ names. By Tolkien’s own admission, “Tom”, “Bert” and “William Huggins” aren’t proper Middle-earth names. •	The entire troll sequence has been trimmed as much as possible. The whole sequence, and especially the fight scene, goes on for far too long. All in all I’ve edited out about a third of the sequence, but I won’t bother listing all of the individual changes. Among other things, the troll banter is a lot shorter, the fight is more realistic, and the anachronistic references to “parasites” have been cut. •	Some music restored to the troll scene. •	Some music restored to the troll hoard scene. •	Cut Gandalf’s claim that Sting will glow blue because it’s of elvish make. If that were true, Glamdring and Orcrist (and all other elvish blades in LotR) should glow blue. I did consider rotoscoping the other swords, but decided that it wouldn’t be worth it. •	Gandalf introduces Radagast as “My friend Radagast the Brown” rather than simply “Radagast the Brown”. Since we haven’t seen Radagast before, I figured this small clarification could be helpful. The audio is taken from behind-the-scenes footage. •	Cut Radagast’s stick insect and pipeweed gags. I don’t mind that Radagast is eccentric, but even PJ admits that these gags might have been a bit too much. •	Changed the colors of Dol Guldur to make it creepier. Judging by the trailers, the new coloring will also match the look used in DoS a bit better. •	Restored Sauron’s theme to the Dol Guldur scene. •	The sound design for the Witch-king has been redone. Some sounds have been removed and some have been added in order to make the scene scarier. •	Cut the “Who did you tell about your quest” etc. bits. •	The Warg chase has been trimmed as much as possible. I did consider cutting the chase entirely, but it serves several story purposes, some of which tie into the next two films, so I was forced to include it. •	Some music has been restored to the Warg chase. The original sequence has some parts without music, but since I’ve shortened it so much, I think it needs to have music playing throughout. •	Inserted the extended entry to Rivendell from the EE. At this point in the story, Bilbo has unfortunately gotten a bit lost in the shuffle, with all the wargs, orcs and crazy wizards running around. I think this is a nice little scene that brings him back to the forefront. •	Trimmed Gandalf and Thorin’s argument outside Rivendell. •	Trimmed the elves riding in circles around the dwarves. •	Added a subtitle for Lindir’s “Mithrandir!” (“Grey Pilgrim!”). PJ’s films never explain why some people call Gandalf by this elvish name. •	Inserted two shots of Nori pilfering the elves’ stuff from the EE. Nori is a complete non-entity in the theatrical version, and these small bits in the EE give him at least some identity. •	Recut the dinner scene to create a slightly different dynamic between Thorin, Gandalf and Elrond. •	Inserted Bilbo exploring Rivendell and talking to Elrond from the EE, but placed the scene before “Moon Runes” rather than after. “Moon Runes” establishes that the company is in a hurry, since they need to reach Erebor before Durin’s Day. It doesn’t make a lot of narrative sense to follow this with scenes of Bilbo chilling in Rivendell, so I moved them to an earlier point. •	Closeup of the “Last Alliance” painting has been replaced. The original version focuses on the ring, which shouldn’t be established this early, and which also doesn’t actually appear in the painting in the LotR films. In my version the focus is on Isildur (taken from TTT, and color-corrected to fit). •	Restored Bilbo’s theme to his chat with Elrond. •	Scene of dwarves having fun and Bilbo wandering at night has been moved to an earlier point. I’ve tried to create an arc for Bilbo that serves as a thread for all the Rivendell scenes. These shots create a narrative link between the Elrond chat and the Moon Runes scene (hopefully). •	Cut the beginning of the Moon Runes scene – we now enter the scene as Elrond is studying the map. •	Trimmed shots of the moonlight illuminating the crystal table. •	Inserted EE scene of Gandalf and Elrond discussing strategy on their way to the White Council. This is my favorite scene from the EE, as it completely alters the Gandalf/Thorin/Bilbo dynamic in a really interesting way. Thorin’s madness will obviously also become more important in DoS and TaBa, and I think this is a nice foreshadowing of that. •	Shortened the White Council scene as much as possible, and removed any direct mentions of Sauron. This is obviously a vital scene going into the next two films, but it’s also rather boring, so I’ve tried to get through it as quickly as possible, while still giving all the necessary information. I had to do a bit of rotoscoping for couple of shots in order to preserve continuity. Galadriel’s telepathy has also been removed, and the end of the scene has been altered so that Gandalf doesn’t know that the dwarves are leaving. •	Replaced music for Gandalf’s monologue about “simple acts of kindness and love” with an alternate recording. Because of the prominence of the flute, I wasn’t able to restore Shore’s original music here. The best I could do was to replace the music, which is taken directly from the end of FotR, with the slightly different version found in the fan club credits of FotR. •	Cut Galadriel teleporting, or whatever that was supposed to be. •	Cut the stone giants. I really like this sequence in and of itself, but in the context of the rest of the film it’s completely irrelevant and too over-the-top. The only important story beat is Bilbo almost falling and Thorin rescuing him, which still works, and is more effective, without the giants. •	Removed the out-of-place jump cuts when Bilbo prepares to leave the company. There are some really odd editing choices in AUJ, most of which can’t be helped. These odd jump cuts could easily be removed, fortunately. •	Shortened the fall into the goblin tunnels. •	Slight trims to the company’s abduction by goblins. •	Trimmed Bilbo’s fight with the goblin. •	Shortened Bilbo’s fall into the cavern. 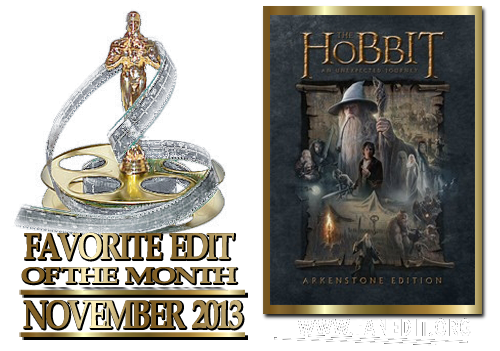 •	The company’s encounter with the Great Goblin has been shortened, recut and combined so it’s no longer intercut with Bilbo and Gollum. •	Recut the fight against goblins, and added some sound effects. Some of the shots here were either too comical or visually boring, so I replaced them with some shots from the later chase sequence. •	Cut shot of the ring falling out of Gollum’s pocket. The first shot of the ring in the saga should not be CGI. The shot also puts too much of an emphasis on the importance of the ring, which shouldn’t be obvious this early on. •	Restored music for the finding of the ring. The piece Shore originally wrote is a bit more understated, which I think works much better. •	Reordered shots for the finding of the ring. Since the first CGI shot of the ring has been cut, the shots had to be juggled around a bit in order to work. •	“Riddles in the Dark” is mostly intact, but with a few minor trims here and there. Ideally, since the rest of the film has been cut down so much, this scene should also be a whole lot shorter, but I couldn’t figure out a way to cut it down without ruining the flow. Besides, it’s a really good scene, so I think the slightly odd pacing that comes with keeping the scene more or less intact is worth it. •	Restored music for the ring falling on Bilbo’s finger. •	Shortened shots of the ring spinning in the air. The ring behaves really strangely for some reason, and the CGI isn’t very good. •	The company’s long escape through Goblintown has been cut entirely. Most of the escape is too cartoony and over-the-top, and I especially wanted to get rid of the final showdown with the Great Goblin. With that gone, including any other parts of the escape seemed rather pointless. •	Reordered the scenes of the company and Bilbo escaping the mountains so they happen sequentially instead of simultaneously. •	Cut Thorin’s line “It matters”. Once instance of the “he seems to be angry but actually is not”-cliché is enough, and the one at the end has to be included. •	Cut the shot of Azog sending out the wargs. •	Some minor trims to the warg scene. •	Cut some closeups of Azog’s second-in-command. I’m not a fan of his design, he doesn’t really need to be established, and since Yazneg should actually fill his role in my edit, I figured it was best to not linger on him. •	Restored original music for Gandalf and the dwarves throwing pinecones. This was really tricky, since the entire soundtrack had to be recreated from scratch – in 5.1 surround. •	Restored original music to Thorin’s charge against Azog. The Nazgul theme was really, really jarring. This was another scene where I had to recreate the audio. The sound design is a bit different from the original version, but I think it works fairly well. •	The stuff between Thorin’s charge and the eagle rescue has been trimmed and recut quite a bit, with some altered music as well. •	Restored original music to the eagle rescue. This took a lot of work, since it’s a fairly long sequence for which I had to recreate all the sound. I much prefer the original music, though, especially since the lyrics for the choral piece in the TE are so obviously out of place (you can clearly make out references to Shadowfax, for example, since the lyrics are taken from Gandalf’s arrival at the Hornburg in TTT). •	Replaced “Gondor Reborn” music at the end with some more suitable bits from “Dreaming of Bag End”. Unfortunately, Shore never wrote any music for this scene, but I think my choice of music replacement fits nicely, and brings this particular Bilbo-theme to a fitting end, since it most likely won’t appear in the next two films. •	Cut Bilbo’s “I would have doubted me too”-speech. Bilbo has already had his “big speech”, so this one isn’t needed. Removing it also made the music editing a lot easier. •	Restored music for the last shots of the movie. These films have a strong tradition of ending with music, and I don’t think AUJ should be an exceptions. Shore originally intended the film to end with a rendition of Smaug’s theme, and I think it works really well, especially as a lead-in to DoS, where the theme will be much more prominent. Pretty much the best. I admire the effort put in by many to morph the Hobbit films into a single film, or two film structure, but to me it should be a trilogy. It's clear from The Appendices that Jackson and co. made many changes to make the films work as three instead of two and so I prefer watching them as a trilogy, and Kerr's edit is a fantastic way to do that. The theatrical (and extended cut) cut of Unexpected Journey can be a slog, but this edit breathes new life into it. Kerr has managed to keep the structure of the film intact while making it all run so much more smoothly. Maybe my favorite element of the edit is the score replacement. In the Jackson versions, villains' leitmotifs from the Rings trilogy will play over scenes of heroes, but there is none of that here. Shore's original music, actually written for this film, finally plays in the places it belongs. I will briefly mention that the score is mixed a bit too high in some of the opening scenes, but this is really a minor quibble. This will definitely be making its way into my Unexpected Journey blu-ray case. 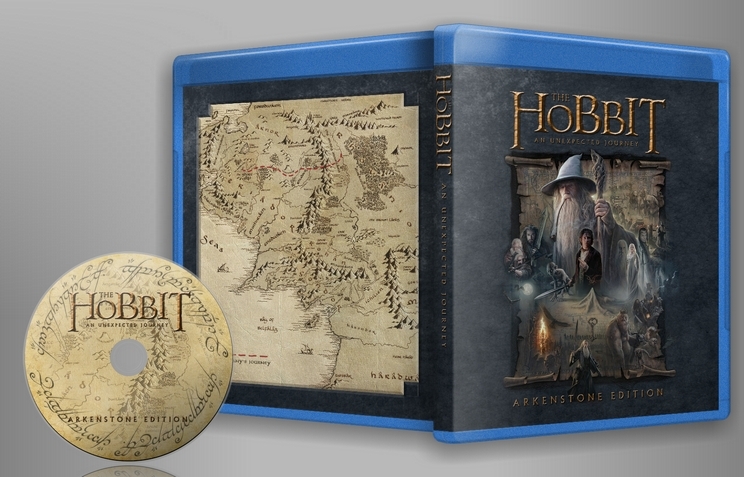 I highly recommend even the most skeptical Hobbit fans to check this version out. Can't wait to check out the next two Arkenstone Edits. I greatly enjoyed this fanedit, it had been sitting waiting to be watched for a couple years for a number of personal reasons and today I finally decided to go ahead and watch it. It is edited perfectly, everything is seamless. Superior skill is shown by Kerr. It being available in HD is most welcome. Narrative wise, it provides a very lean and entertaining take compared to the bloated and honestly boring original cut. This edit without a doubt saves a bloated and childish film that was full of potential, tranforming it into one that I can truly enjoy. Where the original's poor pacing and seemingly conflicted intentions with regard to tone and audience caused what great stuff there was to get somehow lost in the mix, this version flows and carries you along on a wicked ride. Kerr demonstrates a greater understanding of what was needed in this film, using scenes from the EE which greatly enhance the narrative while drastically trimming plenty that made it into theaters. Radagast is an excellent example. By omitting his introductory scenes, the awkward humor, and Saruman's full verbal laceration of the character, he now seems quirky (although not annoying), and like someone who you can actually believe as a wizard. Kerr's use of Howard Shore's original soundtrack also hugely enhances the whole experience, providing us with more appropriate accompaniment at almost every turn, and making you wonder how the editors thought reusing so much of the soundtrack from Lord of the Rings in favor of original themes composed for this film would be better. There are four exceptions to this however (all near the end of the film) where the change of music was jarring and/or detracted from my experience. The first is using a different version of the ring theme. The original used the same version as TLOTR which I feel both sounds better and is more thematic in this case. Likewise the eagle theme which he uses for about twenty seconds before changing to a new piece is so associated with those eagles in my mind that using anything other strips the scene of all its beauty. Third, for Thorin's charge on Azog he replaces the Nazgul theme from fellowship (epic, but very out of place) with one which I think he took from Skyrim. This sounded out of place and simply didn't work for me. Better I feel to have kept the Nazgul theme, despite the anti-thematicness. Lastly atop the Carrock when Thorin wakes and the audience is meant to be unsure whether Thorin will rebuke or thank Bilbo Kerr has used a theme which he accented to the scene beautifully and I think was much better, all except for the fact that its tone makes it clear in no uncertain terms that Thorin will not rebuke Bilbo as the scene intends you to fear. Sadly, that seems a deal-breaker for me. All-in all a Masterpiece of an edit that will leave you exasperated with the original editors and sympathizing greatly with the time pressure everyone involved had placed on them. Personally I would add (and have done so myself) the Old Took's birthday party scene from the EE because it creates a much warmer introduction to the Shire scenes, and better establishes this young Bilbo Gandalf repeatedly recalls in later scenes. As well as Gandalf's concerns about the dwarf rings and mention of Thrain during the White Council - as this leads directly into a plot line from DOS that Kerr was, at the time of this edit, unaware of. Professionally done. This is a great alternative to the original movie. My issue with the original movie was that sometimes it feels like we jump from a movie to a video game (stone giants, goblin town escape sequence). Radagast also had too many silly moments and his original introduction scene felt like we suddenly jumped to Narnia. All that and more was improved by this edit. Another major improvement this edit has to offer is the sound editing and some alternative soundtracks (Thorin vs. Azog and eagles rescue scenes, especially) which work incredibly well. I think, the minor negative I have in this regard is the missing sound piece from the scene when Gandalf breaks the rock to reveal sunlight on the Trolls. I liked that scene, as it originally was, with the Trolls' response to Gandalf. Overall, it's an awesome work with a lot of heart put into it. This should have been the movie released in theaters. This was the movie I was hoping to see in the theatres. I am a huge Tolkien fan and was incredibly disappointed with all six movies, but especially the Hobbit trilogy. The over the top dialogue and action scenes, constant battles, distractions from plot flow, and I could go on and on, left a sour taste in my mouth for these movies that had so much potential. then I saw this, and I have been telling everyone about it since- this is instantly my go-to version. I love the streamlined plot, and that it still kept some of the new ideas in the movie that were extrapolated from other Tolkien works. Kerr is a gifted editor who shined in this edition. the only negative, other than minor nitpicking over the inclusion/exclusion of script/plot choices is that the dialogue is a little difficult to pick up at times in the beginning over the really great redone score. Arkenstone has restored the warmth for Middle Earth, and I hope Kerr takes a stab at the next 2 in the trilogy, whether they are in one or two films.